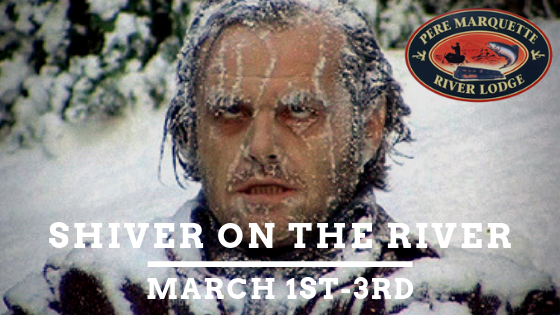 Shiver on the River is upon us! 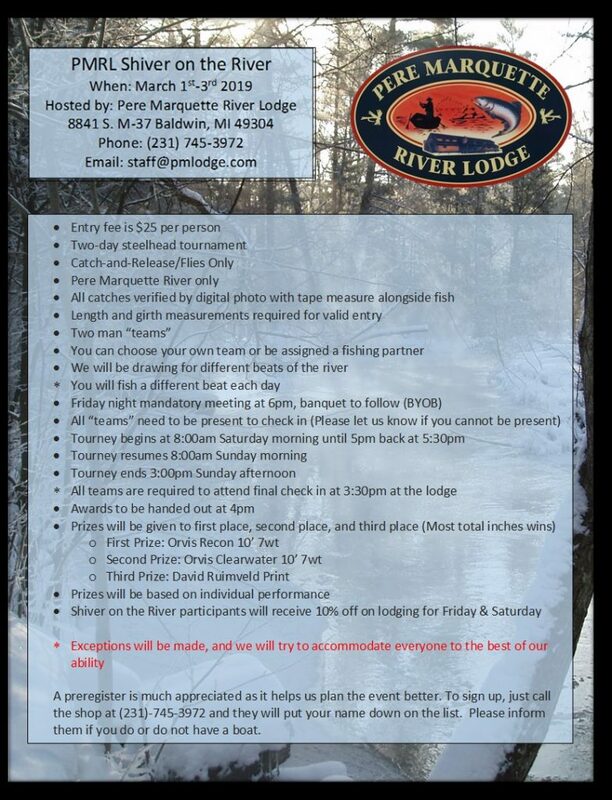 Join PMRL from March 1st through the 3rd for everyone’s favorite PM steelhead tournament. It’s $25 per person, and anglers must be part of a two-person team (You can choose your own team or be assigned a fishing partner). The winning individual this year will receive an Orvis Recon 10′ 7wt rod. Second place gets an Orvis Clearwater 10′ 7wt rod, and third place will get a David Ruimveld print. Participants will also receive 10% off lodging for Friday and Saturday. Call the fly shop at 231-745-3972 to reserve your spot. More information is below.